Small businesses for years have turned to Online Marketing Coach for help with their search engine rankings on Google, Bing, Yahoo! and other search engines. 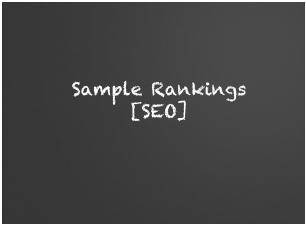 Getting the top rankings is essential if you're going to maximize your online marketing efforts. Without keywords and rankings that SEO can achieve, you won't generate the leads and sales you deserve. Contact us at 800-490-3350 for details.